Our campground is very close to Prague Old Town and situated right by the Vltava River. You can easily reach Prague’s cultural heritage and also enjoy canoeing, rafting, roller skating, cycling, walking and other outdoor activities. Stay with us to see the best of Prague! 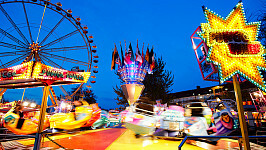 St. Matthew’s Fair – the most famous Czech Fair will take place in Prague until April 22, 2019. You are welcome to celebrate Easter in Prague! 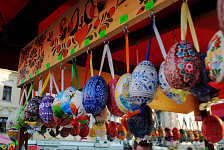 The Prague Easter markets are opened daily from 06th to 28th April 2019. 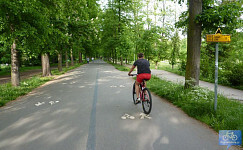 Stromovka Park called formerly the Royal Park is located by 20 minutes walk from River Camping across Vltava River. The biggest park in Prague could be considered a kind of Central Park of Prague. 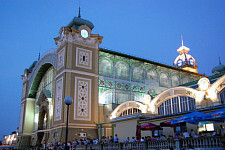 Prague’s Exhibition and Fair Center offer various exhibition and funfairs, but also unique Krizik´s singing fountain performance as well as swimming opportunity. ZOO is only 15 minutes of walk along the Vltava River. 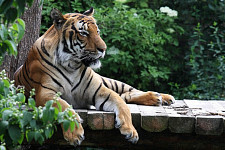 According to Forbes Traveler rating Prague ZOO is rated as the 7th best ZOO in the world!